Malaysia is expecting to earn $12.2 billion from at least 20 million tourists during the Visit Malaysia Year 2007(VMY2007). The various exciting promotions and marketing strategies went into high gear on Aug. 21 as part of VMY 2007 campaigns to make Malaysia a top-of-the-mind tourist destination, Abdul Mutalib Awang, director of Tourism Malaysia Seoul said. Pointing out that Malaysia is peaceful, politically stable and its people are hospitable and friendly, Mutalib expressed confident in achieving the target of 20.1 million tourists in Visit Malaysia Year 2007. 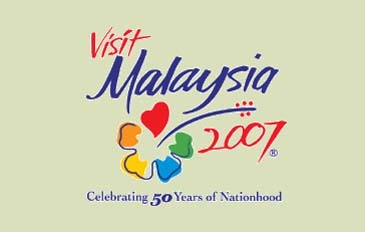 The figure is comparable to 7.4 million tourists Malaysia attracted in 1990 when it launched Visit Year Malaysia 1990. In the latest activity carried out by the Ministry of Tourism and Tourism Malaysia in collaboration with its industry partners, Kuala Lumpur International Airport Limo operators have joined in the campaign by displaying the VMY 2007 logo on their vehicles to create awareness among domestic and foreign travelers. Beginning on August 21, 2006 the airport limousines and taxis comprising a total of 170 minivans and 30 Mercedes Benz limousines started to publicize VMY 2007, Mutalib said. "Tourism is a people-pleasing business. Nothing impresses tourists more than a broad friendly smile. The thought of feeling welcomed the moment they step into the airport and as they pass through immigration and customs checkpoints and catch the taxi makes a lot of difference," he added. The coming year 2007 is meaningful to Malaysia as it marks the 50th Anniversary of Malaysia's independence. Key segments promoted for the Malaysian market include; leisure holidays, shopping, dining, eco-tourism, MICE packages, while the special interest promotions showcase; education, honeymoon and retirement programs known as Malaysia My Second Home program, all of which are based on well-organized travel packages coupled with the high standard quality services and products. He also said the Arab conflict with Israel is expected to have positive impact on tourism in Asia especially in Malaysia because the Arab tourists from oil-rich Gulf countries will not be keen to go for holiday in Europe and the United States which support the Israel's military invasion of Lebanon and Palestine. "The Arabs are our prospective tourists," he said. The campaign to draw visitors to Malaysia next year will require the involvement of the private sector, private entities and other groups to achieve its objectives as the government alone could not make Visit Malaysia Year 2007 a success. Through its numerous promotion activities campaign which would also help increase the awareness of Malaysians on the importance of the tourism industry, Tourism Malaysia is confident of meeting its target of 20.1 million tourist arrivals next year, Mutalib maintained. In the meantime, Malaysian police have taken various measures to ensure the safety of visitors to the city in conjunction with Visit Malaysia Year 2007. This assurance came from City Police Chief Datuk Sulaiman Mohd Yusof who said various approaches had been taken to step up security, especially at places frequented by foreigners. He said the number of police personnel on duty would be increased at popular public places and those regarded as having a high crime rate. "The presence of the policemen is important not only to make the public confident of their safety but also to prevent crime," he told reporters. Earlier, in his speech, Sulaiman urged members of the force to be more creative in discharging their duty to reduce the crime rate, saying that a reduced crime rate would make foreigners feel safer in Kuala Lumpur. VISIT Malaysia Year (VMY) 2007 may be months away but the publicity and awareness campaign for the tourism drive is going full swing. Penang's South-West district recently held its own VMY 2007 launching at the open space fronting the beach in Teluk Bahang. More than 1,000 people braved the scorching sun to join in the celebration, which was aimed at creating awareness among locals on VMY 2007. The event started with a Malaysia Truly Asia cultural dance, followed by a series of songs and dance performances. The National Parks and Wildlife Department's booth was a major attraction as many visitors were spotted playing with the young civet cat and baby monkey. The animals at the booth as Finance Ministry parliamentary secretary too fascinated the VIPs and Balik Pulau MP Datuk Seri Dr Hilmi Yahya, who launched the event, was spotted having a python coiled around his neck. Also present were state Tourism Development and Environment Committee chairman Teng Chang Yeow, Teluk Bahang assemblyman Siti Faridah Arshad, who was the event's organizing chairman, and Pantai Jere-jak assemblyman Wong Mun Hoe. In his speech, Teng said locals should play their part in promoting the state to help make VMY 2007 a success. 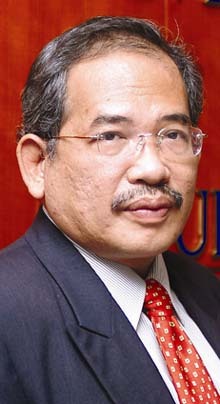 He said the state government had received a RM300,000 allocation from the Tourism Ministry to promote VMY 2007. He said each of the state's five districts had been given RM50,000 from the allocation to organize their own promotional events.